We are delighted to welcome everyone at Hopscotch Children’s Nursery, Peacehaven, to our harmonica community. 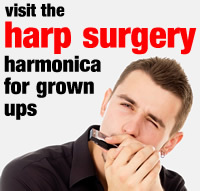 Harp Academy will be providing weekly harmonica lessons for Pre-Schoolers in our new setting with Richard Taylor. 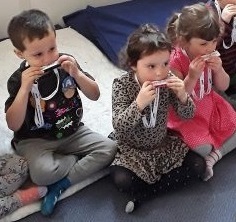 In the summer of 2018, Harp Academy piloted an EYFS harmonica programme for Pre-Schoolers in collaboration with the Hopscotch Nursery team at Portland Road, Hove, and sixteen of their fabulous children. It was an rewarding experience for everyone involved. 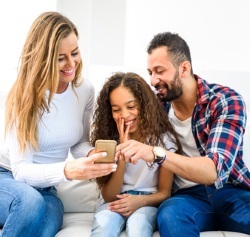 Using everyday props and fun challenges, children adopted the physical processes necessary for playing a wind instrument; from a hand hold, to embouchure development, breath control, navigation and articulation. Through games, rhymes and exercises they also learned musical principles such as arpeggio, the major scale, decorative instrument skills (glissando and trills for example) and the musical elements. They even explored the fun of improvisation and performance by bringing stories and songs to life through sounds and action. Repertoire included Twinkle, Twinkle, Four Little Speckled Frogs and Wimoweh (The Lion Sleeps Tonight). Books included Waking Wendell and Charlie’s Harmonica. Harp Academy is extremely proud to be working in collaboration with Hopscotch’s highly professional management team and amazing staff. Since launching our pilot scheme at Portland Road, we are now operational in their Preston Park, Seaford and Peacehaven settings. YolanDA’s Band Jam, 23/24.Feb with Will Wilde! Check out YolanDA’s Band Jam on Saturday 23rd Feb and Sunday 24th Feb at 10.20am on CBeebies, becasue you’ll see somebody you recognise on TV. Yes it’s our very own Will Wilde! He’s in the studio demonstrating the harmonica and sounding really cool! The series is available on BBC iPlayer. Catch Will in the offcial trailer below at the 37 second mark. Quite a few Harp Academy grown-ups have mentioned a national TV advertisement for a well-known insurance broker, which features a hound dog playing blues guitar and a tom cat playing the blues harmonica. It’s great to see our favourite instrument enjoying some airtime. ‘Have you seen the ad?’, we’re frequently asked. Well, yes we have. And we hope you can keep a secret. That’s Harp Academy’s very own Will Wilde playing the harmonica track. Like it, love it, laugh out loud..
You can follow our news and important messages through Facebook. This is a closed group and its content is monitored. To the uninitiated, this means our page is available to Harp Academy parents/carers only, not to the general public. Click the Facebook icon here to find us and send your request to join our group. Once we’ve checked you are a current Harp Academy subscriber, we will approve your request. We welcome comments and feedback on our page, and we hope you find the content fun, as well as useful.